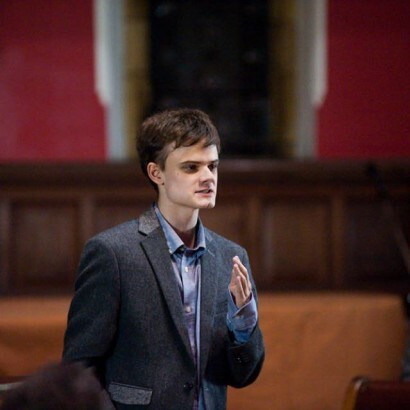 Alex Chalmers was co-Chair of Oxford University Labour Club until he resigned in February, alleging that a ‘large proportion’ of club members had ‘some kind of problem with Jews’, while many used the slur ‘Zio’ and voiced support for Hamas. A controversy erupted and the Labour Party is now conducting an enquiry into antisemitism at the club. Chalmers argues here that the root problem is the poisonous ideology of antisemitic anti-Zionism which is bad for Diaspora Jews, bad for the Left, bad for Israelis and bad for Palestinians. At the Labour Party Conference back in September 2015, the Shadow Foreign Secretary Hilary Benn addressed receptions held by Labour Friends of Palestine and the Middle East (LFPME) and Labour Friends of Israel (LFI). At both events he delivered relatively similar speeches in which he talked about the psychological toll that the conflict takes on both Israeli and Palestinian children and the need for both sides to compromise and negotiate. 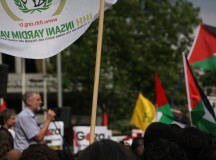 LFI received the speech enthusiastically, but at the LFPME event there was outrage. One attendee shouted ‘this isn’t about peace; this is about justice’, to enthusiastic applause from a large proportion of the room. When Benn tried to respond, he was heckled by people calling him a ‘disgrace’ and saying that he should not be Shadow Foreign Secretary. This attitude of ‘justice’ over ‘peace’ is a damaging trend that has come to characterise much pro-Palestinian activism. That is to say, the demands of Western activists living in relative comfort have become progressively more detached from the aspirations of the actual people whom they claim to be defending. Whilst support for a two-state solution amongst Palestinians is lower than it has been historically, in the last 12 months, polling conducted by the Palestine Survey and Research Group has found that it is still the preferred outcome of between 45 and 51 per cent of Palestinians. Contrast this with the logo of the UK’s Palestine Solidarity Campaign which features the entirety of ‘historic’ Palestine with no mention of Israel. As Joel Braunold, US Director of the Alliance for Middle East Peace, has written in this journal, one of the greatest obstacles to peace in the region is a lack of trust. If Western activists were actually interested in peace, instead of organising boycotts which only poison the well further and focusing exclusively on delegitimising Israel, they could participate in more constructive activities to advance mutual recognition, and peacebuilding. As well as disavowing terror and ceasing to sentimentalise ‘the resistance’, they could lobby for greater funding for grassroots projects which build trust between ordinary Israelis and Palestinians, or work on building links with sympathetic Israeli politicians, political parties and NGOs that stand for mutual recognition, a shared society and the two state solution. Sentiments of this kind are common amongst self-proclaimed ‘anti-Zionists’, who on many occasions seem to use the label to lend a veneer of academic credibility to what often manifests itself as blind hatred. 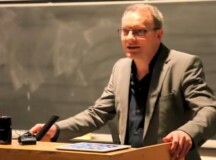 The Stop the War Coalition notoriously published an article calling for war to be declared on Israel, whilst seemingly more mainstream organisations such as Liberal Democrat Friends of Palestine have seen their Facebook group share links to websites alleging Israeli involvement in 9/11, promoting Holocaust denial, and a piece written by Gilad Atzmon claiming that ‘the time is ripe to cleanse British public life of Zionists and Jerusalemites’. During my year and a half as an active member of the OULC, I found that these attitudes were prevalent. The word ‘Zio’ was part of the club’s lexicon, despite its connotations eventually becoming widely known (if in doubt, I suggest typing the phrase ‘Zio Jew’ into Google and scrolling through the results), the song ‘Rockets over Tel Aviv’ was a favourite amongst a certain faction of the club, and the concerns of Jewish students over issues such as Israel Apartheid Week were ridiculed. When I saw that someone had proposed the club endorse Israel Apartheid Week at its General Meeting, I decided in advance that if the motion passed, I would resign. What prompted me to resign in such a public fashion was witnessing just how passionate, over the top, and catch-all ‘anti-Zionism’ was. I am no stranger to bad-tempered meetings or sharp debate, but the sheer hatred people felt was visible in their eyes. The motion was written deliberately to make me feel uncomfortable: the motion mandated the co-Chairs to condemn ‘Israeli Apartheid’ when asked to do so. In the meeting, members of the club were shouted down by a small clique, Jewish students were laughed at and there was an attempt to deny paid-up members of the club who opposed the motion the right to vote. Added to this, I was denounced as a Zionist stooge and while I was counting the votes, someone stood over me suggesting that my Zionist sympathies meant that I might try to rig the ballot. One member of the club who had spoken in my support at the meeting then received a barrage of messages condemning him for speaking up for a known Zionist and liar. In a way, the antisemitic incidents I witnessed in OULC are less troubling than the culture which allowed such behaviour to become normalised. It is common to encounter antisemitic individuals in all walks of life, but the mass turning of a blind eye that has come to characterise vast parts of the Left is chilling. As antisemites can double up as vocal critics of Israel, there is a marked tendency on the Left to view them as fellow travellers whose hearts are in the right place – so their rhetoric passes the test of social acceptability. The ‘justice’ over ‘peace’ attitude was dominant in OULC. Complex geopolitical questions were reduced to crude Manichean binaries: it was ‘socialist’, for example, to support Hamas because they are the ‘oppressed’ fighting the ‘oppressors’. 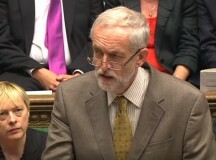 In this frame of mind, it is ‘socialist’ to support an antisemitic organisation which seeks Israel’s destruction, helps ISIS in the Sinai, and abuses Palestinian civilians, using them human shields, stealing their medical supplies, persecuting gay Palestinians, intimidating journalists, attacking free trade unionists, and using concrete donated for the constructions of schools for Palestinians to construct terror tunnels to attack Israelis. This is, as Nick Cohen says, a Left that has lost its way. It is not then surprising when, in this context, what Alan Johnson calls ‘anti-Zionist antisemitism’ is almost entirely ignored. When in a struggle against an apparently uniquely evil force, the rhetoric and behaviour of one’s own side is very much a secondary concern. This goes some way in explaining why so many activists seem entirely indifferent to antisemitic rhetoric and, as it becomes normalised, begin to use it themselves. Returning to the term ‘Zio’, in OULC it started off as the preserve of one or two individuals, but over the course of a year or so it began to inflect the vocabulary of a number of people who should have known better. Discourse in student politics these days is increasingly dominated by the twin themes of welfare and liberation. Whilst this can have its benefits, a certain double standard has emerged, where the welfare of every potentially disadvantaged group is taken more seriously than that of Jewish students. There is a prevailing, and I believe correct, belief that if someone comes forward claiming to have been the victim of discrimination we should be, at least initially, sympathetic and inclined to believe them. This belief, however, does not extend to Jewish students and antisemitism. Those brave enough to come forward and describe their experiences are immediately assumed by many to have some kind of ‘agenda’. When OULC was debating Israel Apartheid Week, one brave Jewish student tried to explain her concerns but on beginning her sentence with ‘as a Jewish student’, one person in the room rolled their eyes and muttered ‘of course’. Another Jewish student privately told me that they often had to exaggerate the extent to which they were critical of Israel just so that they could feel accepted in left-wing spaces. Morality aside, the kind of behaviour described above does the Palestinian cause a great disservice. The conditions many Palestinians have to endure are truly horrible and the Israeli government’s behaviour can be criticised, but whilst a substantial number of pro-Palestinian activists continue to ignore the wishes of the Palestinian people in order to advance their own agenda, turn a blind eye to the rampant antisemitism in their own ranks, and view Israeli society as monolithic and blood-thirsty , they will only ensure that their cause remains one in which most mainstream politicians will be reluctant to take an interest.